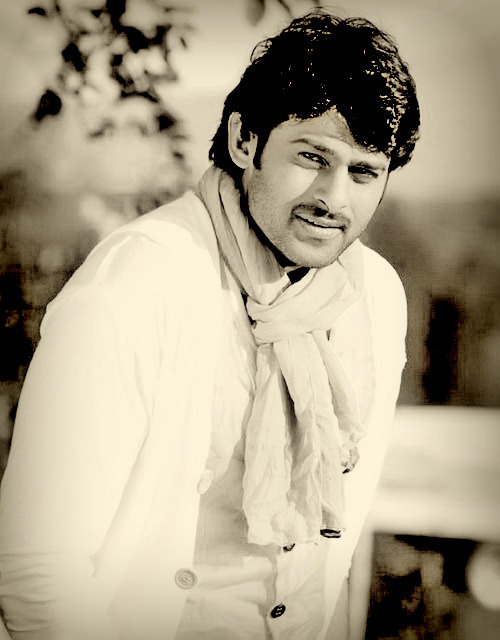 Prabhas Raju Uppalapati was born on 23rd October 1979 in Chennai, India. He currently lives in Hyderabad, India.His father is U Suryanarayana Raju and mother is Siva Kumari. He is one of three children. His brother is Prabodh and sister is Pragathi. His uncle is the famous actor and politician Krishnam Raju Uppalapati. SRI CHAITNAYA JR COLLEGE.Prabhas is a little poor in studies and somehow completes his degree. Young Rebel Star Prabhas is these days maintaining a very low profile. Prabhas said: "I will never forget Chakri`s music, especially the song `Jagamantha Kutumbham Nadhi` in my film Chakram. Similarly, almost all the audio functions which I attended turned out to be great hits. I wish the same for this film also." Prabhas has a owned Skoda Superb and he has got himself a new BMW X5 . It is believed that a Vasthu expert found that the house he is living in at present is not as per Vaasthu and hence all his films are flops. He has been advised to move into a new house. Prabhas has now moved into a new house which is just down the lane of his present house. Hope the change of residence will bring him the much awaited and deserved success. Prabhas will be charging almost 9crores for every film. Prabhas started his movie career with Eeshwar in 2002. In 2003, he was seen as the lead in Raghavendra. Both of Prabhas's early movies shows his performace and make him to stand as a hero in tollywood. However, he later gained stardom with M.S. Raju's film, Varsham, opposite Trisha Krishnan, in 2004. Despite the success of Varsham, Adavi Raamudu and Chakram could not live up to the expectations of Prabhas's fan, . He is unmarried. However, in September 2005 he made a comeback with Chatrapathi, opposite actress Shreya Saran. Chatrapathi was followed by diffrent flims and different roles in Billa, Bujjigadu ,Ekniranjan etc . He is back to form after success of Darling in 2010 and getting ready to hit the screens in 2011 with Mr.perfect and Rebel. Prabhas is a very tall person with excellent physic. He is one of the few stars in Tollywood who maintain a six pack body.His nature is childish and is a very good person by nature.Prabhas is very manly.He is having much fan following especially girls die for him.He is still a bachelor.He is yet to marry. hii.u r really very smart n handsomeet hero in telugu film industry..u've all qualities wich has to be in perfect hero..u look really innocent in offscreen(saw ur wallpapers)...wish u all the very best for future n upcomig movies.u n kajal make a very very cute pair.let success b wit u all time..take care..